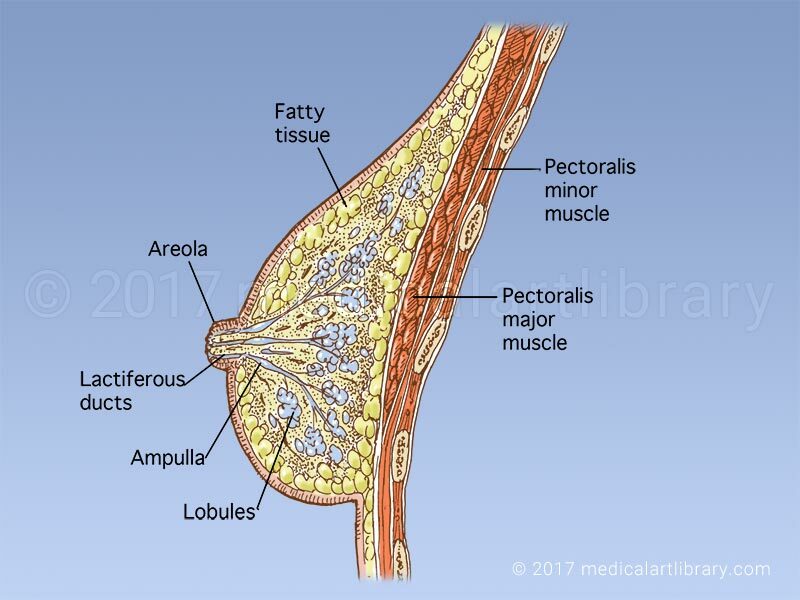 In this cross section of the breast we see the lactiferous ducts, which open at the areola. 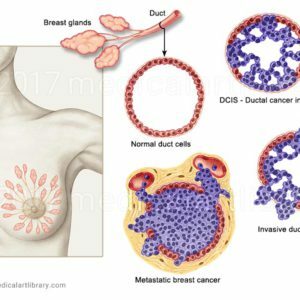 The breast glands and ducts are surrounded by fatty and ligamentous tissue. The dialated portion of the duct near the areola is the ampulla. The ducts begin at the milk glands which are arranged in lobules. 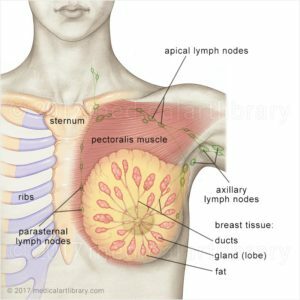 Underlying the breast tissue is the pectoralis major muscle, and the pectoralis minor muscle of the chest wall.